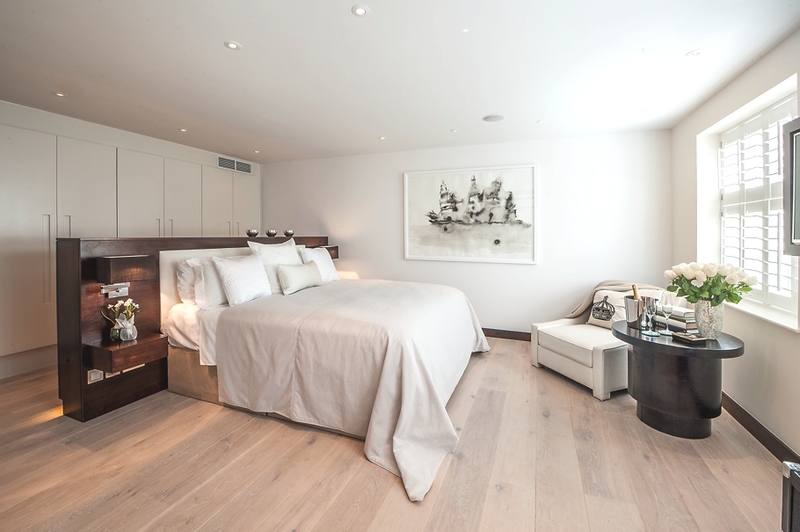 London-based property developer, Landmass, has transformed the Belgrave Mews project. 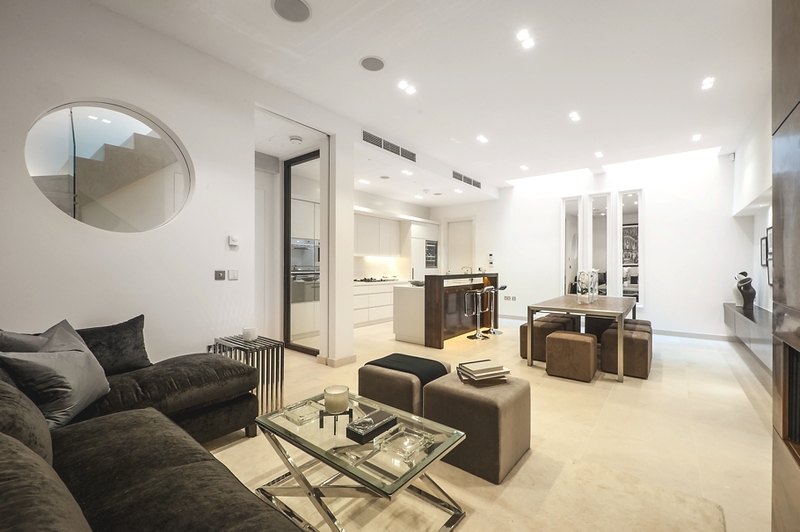 Completed in 2013, the luxury three-bedroom home is located on 48 Belgrave Mews in Belgravia, London – one of the world’s most wealthiest neighbourhoods. 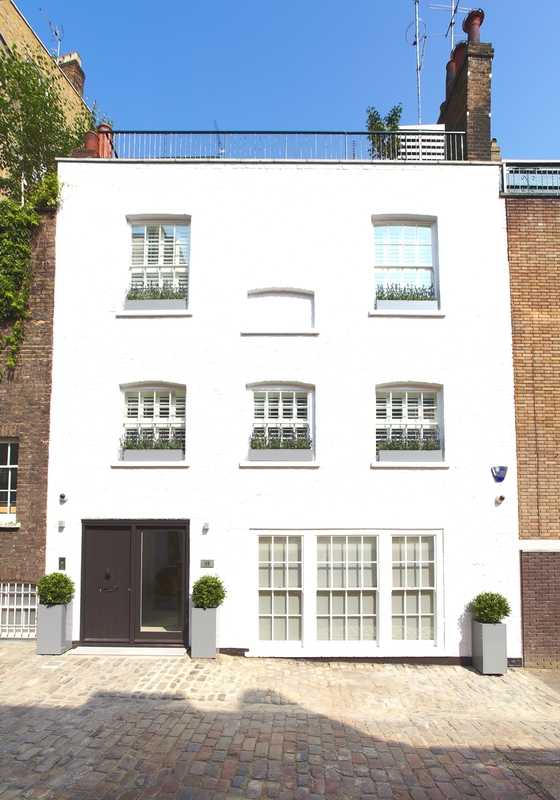 When Landmass acquired 48 Belgrave Mews North, it was a dilapidated and uninhabitable building. With a blank canvas of three floors, their vision to dig a basement and construct a roof terrace appeared straight forward. However, obtaining planning permission through Westminster Council along with subsequent negotiation with the Grosvenor Estate meant that Landmass was unable to move the Grade II listed staircase and make extensive internal changes. Notwithstanding these obstacles, the house has been thought of as a ‘tardis’. This Victorian property, was once the home to the estate of Thomas Egerton, 2nd Earl of Wilton and father-in-law of the 1st Marquess of Westminster. 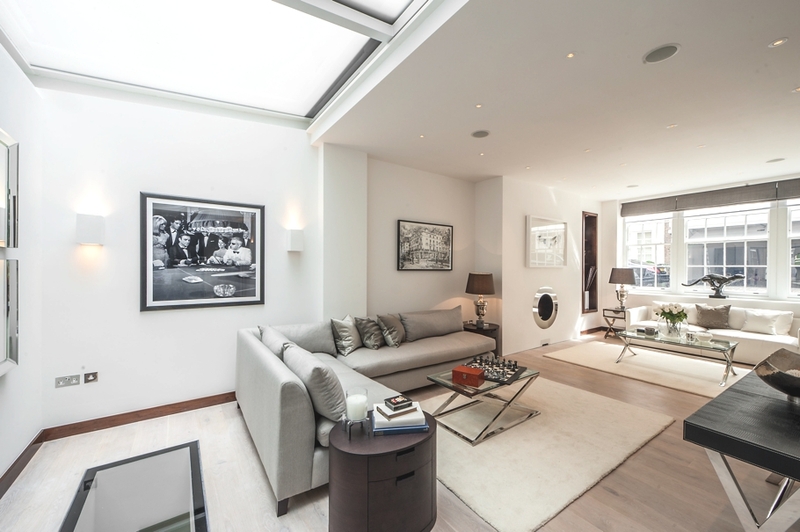 Now the property has been transformed into a fabulous three-bedroom, three-bathroom home benefiting from a stunning south facing roof terrace and mews parking. Upon walking into a quaint Victorian cobbled mews, the unassuming façade of Number 48 gives little evidence of a candidate for ‘best residential property 2014. 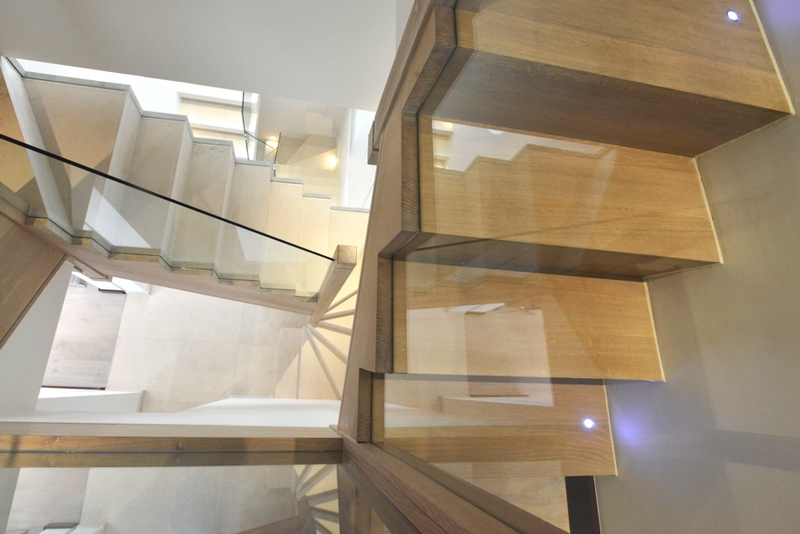 The raised entrance hall allows you to see through an internal glass window into the reception, and glass balustrades on the oak staircase provide a glimpse of the basement and first floor. 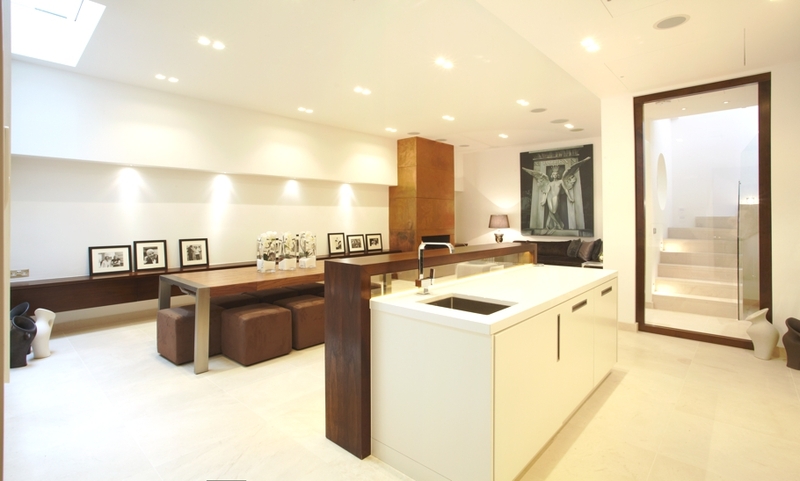 The natural limestone flooring complements the white silestone kitchen perfectly. 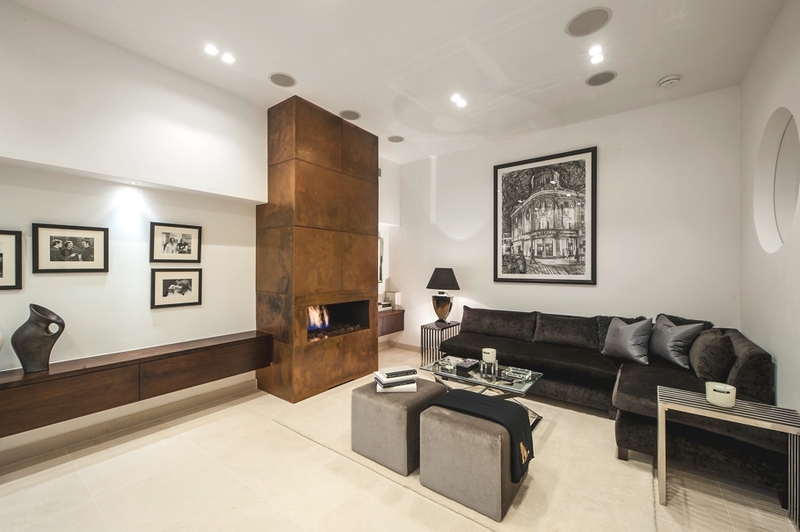 Europe’s largest bespoke copper fireplace with a television recessed allows for entertaining space adjacent to the dining table. As you walk up the oak staircase with glass balustrades, the contrasting walnut skirting provides an exquisite balance of contemporary and Victorian styling. A dressing room serves the master bedroom on the first floor leading to an marble encased en-suite bathroom. The bed is positioned south facing in the centre of the room creating a walk-in wardrobe feature. 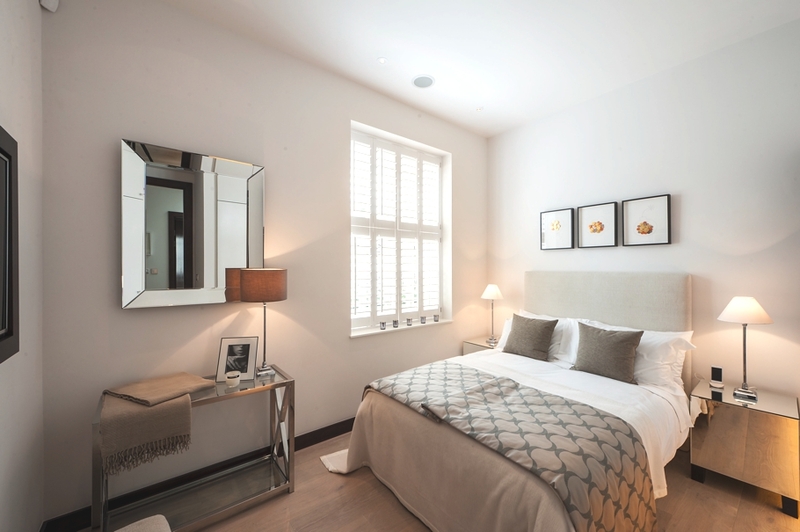 The two further bedrooms and two bathrooms on the 3rd floor have bespoke fitted wardrobes making full use of the space. 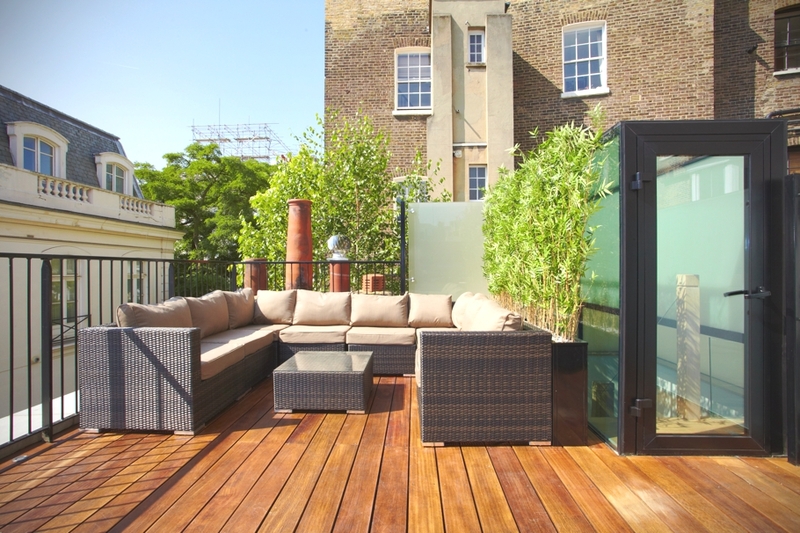 Landmass extended the original staircase to a south facing roof terrace. 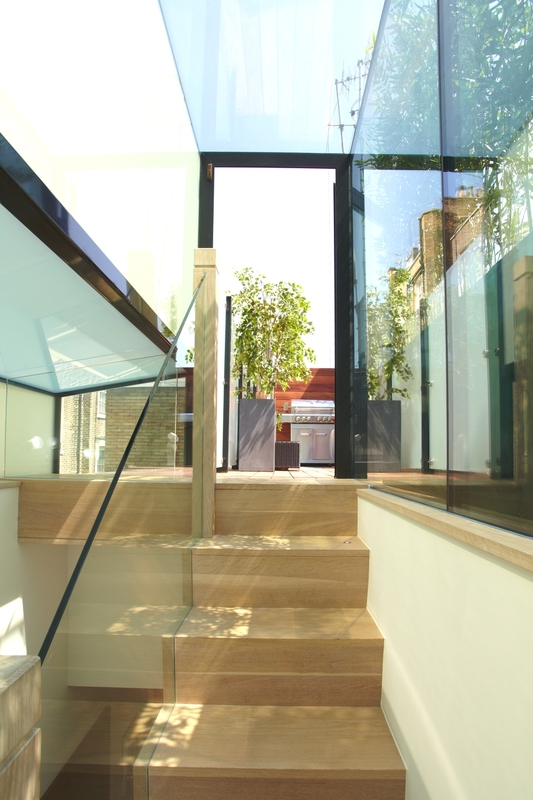 A glass box at the top of the extended original staircase provides natural light throughout the luxury London home. 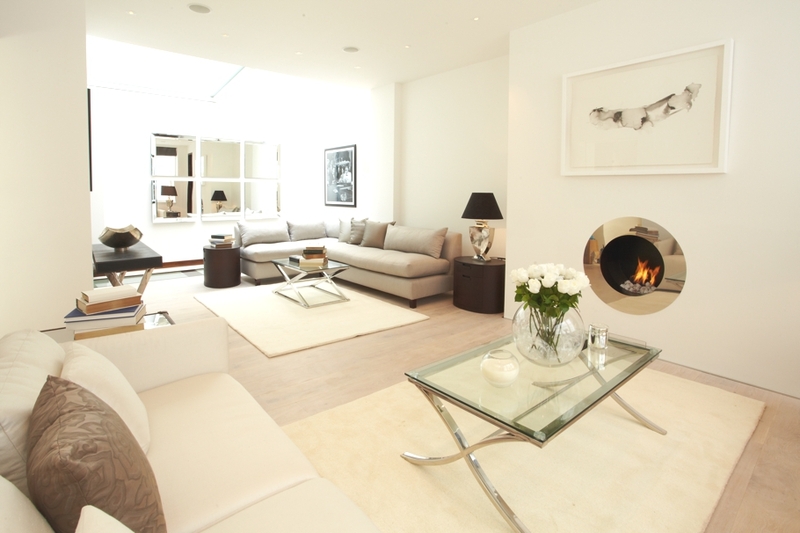 The interior design of the Grade II listed building is contemporary, luxurious and elegant. Adelto loves the dark tiled bathroom on the second floor. The Antalya tiled floor and fully tiled walls and shower enclosure in glass mosaic is very glamorous and chic. The £6.9 million property near Knightsbridge, in the heart of one of London‘s most expensive residential districts — where a car parking space can change hands for £100,000 — is home to ultra-high net worth individuals such as Roman Abramovich, celebrity cook Nigella Lawson and actress Joan Collins. Landmass said: “There are two distinct types of luxury, the tangible and intangible. 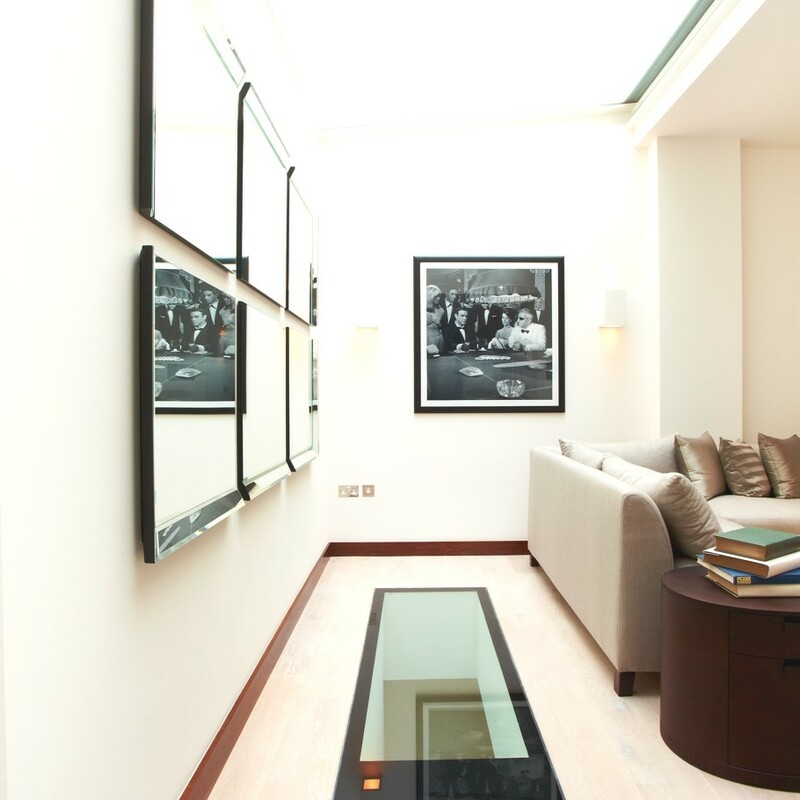 We provide for the tangible through the ultimate bespoke experience, truly exclusive to each property. However, with buyers more perceptive than ever, we grab their imagination, by responding to their subconscious mind. They want the intangible, something money cannot buy. 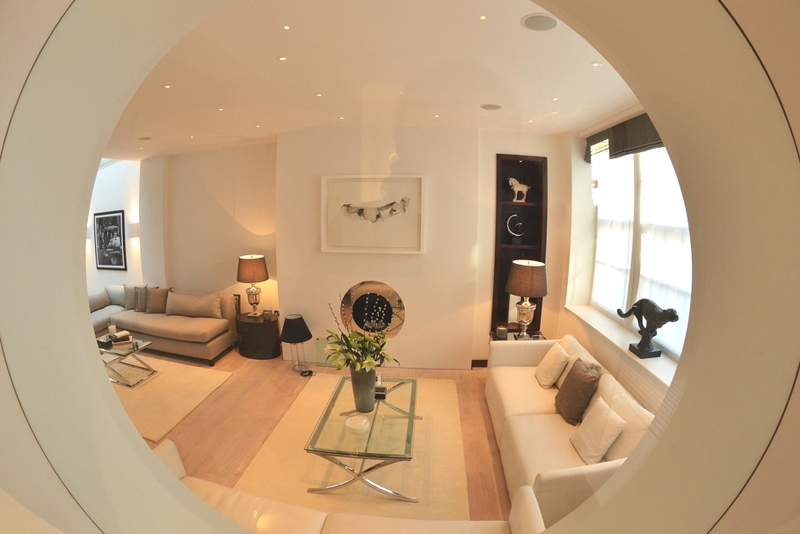 What was the biggest challenge during the Belgrave Mews project? 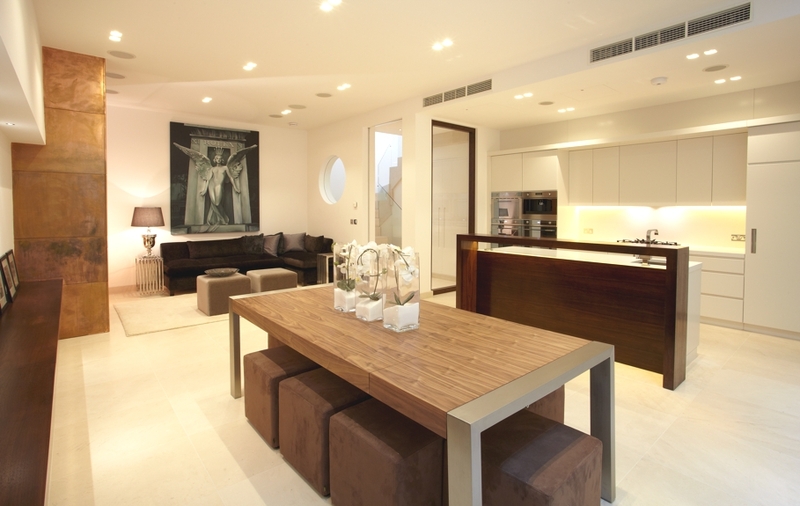 The challenge was to create a contemporary home in a dilapidated Victorian mews. 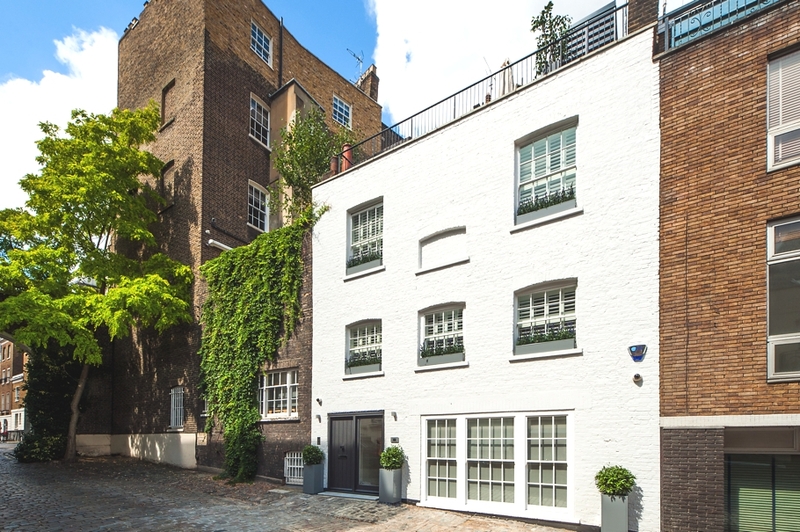 How would you describe the design of this Victorian mews? Innovative space planning along with the creative introduction of natural light makes for an extraordinarily well lit mews house. Simple, yet elegant bespoke finishes work for us. What stands out the most for you in the property? 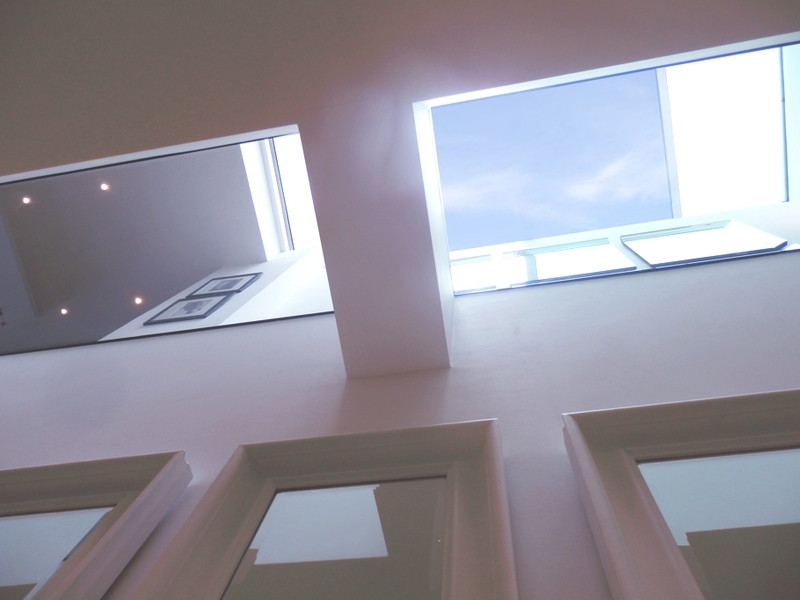 A retractable glass ceiling above part of the reception room with glass flooring allows light to flow directly into the lower ground floor which commands a ceiling height of 3.2 metres. 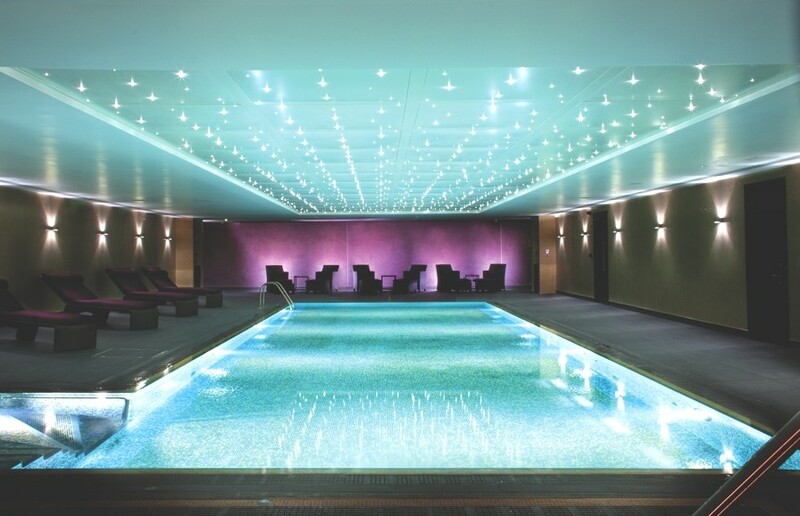 This month the luxury spa at Hilton London Syon Park has relaunched with a new concept and name. Now known as Kallima Club and Spa, it takes a holistic approach to wellbeing, providing relaxation, fitness and nutritional advice. OK – so we are in complete denial that summer is over – and we are refusing to accept it. 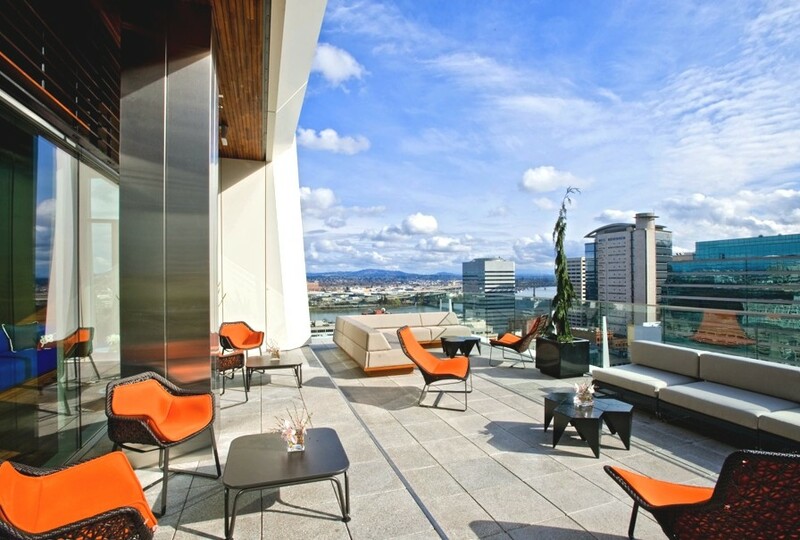 To take our mind of this awful news, we have come up with these six stylish hotel rooftop bars or restaurants where we will be drowning our sorrows.